It was good to sit down with you while I was in San Francisco and learn more about TURN’s relationship with the California Public Utilities Commission (CPUC) and Commissioner Mike Florio. I appreciate the time you took to meet with me. Since then, we have been focused on our Captured Regulators Initiative. In Arizona, we have been finding what we think are some important facts about the extent to which regulators have favored the major state utility, Arizona Public Service, over homeowners’ interests in low-cost rooftop solar. As for California, we recently completed an analysis of some of the more controversial actions of former CPUC President Michael Peevey and current Commissioner Mike Florio, including judge-shopping efforts to help PG&E. We noticed that while TURN was severe in its criticism of then-President Peevy, the response to Florio’s transgressions from your organization has been muted, and you have not called for his resignation. In fact, our analysis of media coverage since Florio was appointed to the CPUC in January, 2011, found 20 unique, negative quotes from TURN about Peevey, including five calls for his resignation. By contrast, we were able to find only four comments by TURN, all moderate and forgiving in tone, on the ethical challenges and possibly illegal conduct of Florio, who now is under a federal investigation. When we met, you asserted to me that when it came to Peevey and Florio, “there is a difference between being foolish and being captured.” Yet Florio’s involvement in the judge shopping scheme is not the only point of concern about his conduct. Florio circumvented rules against back channel, ex parte communications with a PG&E lobbyist that resulted in a $130 million windfall for the utility. Most recently, it was revealed that Florio was present when former President Peevy lobbied Southern California Edison executives to give $25 million to UCLA to fund greenhouse gas research and advised an Edison executive not to report it, as required by law. Legal experts have been shocked by Commissioner Florio’s behavior and the discrepancy between your response to Peevey versus Florio seems stark. To promote transparency and understanding, Check & Balances Project invites TURN to release all communications any representative of TURN has had with Commissioner Florio since he left your organization and joined the CPUC. This includes emails and text messages. I fully recognize that TURN has no obligation to do this. However, providing these communications may remove questions regarding your relationship with Commissioner Florio and your continued refusal to call for his resignation. Please know that it is my intent under California records law to seek the release of these records. We believe they will be helpful to understand the extent to which Commissioner Florio has been captured by California’s utilities or stands on the side of the consumers that TURN says it seeks to protect. Thank you again for your time. I look forward to your response. Today the Checks and Balances Project filed a second request for records for information into the reasons behind Governor Kasich’s decision to freeze clean energy jobs in the state. This request comes after the Kasich administration’s legal team ducked the clear questions asked in our first request. We have made this request in light of significant lobbying spending by Ohio utilities and by the Koch Brothers. FirstEnergy alone has donated more than $800,000 to the Governor and legislature during this legislative session. We are also curious about a $12,155 donation (the maximum allowed donation under Ohio campaign finance law) made by David Koch, of Koch Industries, Inc. to Governor Kasich’ 2014 re-election campaign. Ohioans deserve to know why Governor Kasich decided to sign SB 310 despite the fact that it could cost Ohio consumers $1.1 billion dollars (PDF), put 25,000 Ohio jobs at risk, was overwhelmingly opposed by Ohioans, major editorial pages in the state, and a significant number of major Ohio businesses. You can read a full copy of the request here. The unfolding controversy around Attorney General Ken Cuccinelli’s involvement with CONSOL Energy Inc., a Pittsburgh-based fossil fuel (oil, gas and coal) company, has focused on the widely criticized assistance his office provided the company. It also has focused on the total amount of money Cuccinelli has received from CONSOL. When forced to respond to C&BP recently, Cuccinelli has asserted the company “gave me $100,000 after I opposed them.” A comparison of the timing of contributions and actions that favored CONSOL paint a very different picture. In the first eight years of Mr. Cuccinelli’s political career (state senate), his campaigns received a total of $3,500 from CONSOL. However, once elected to Attorney General, his office began taking actions that favored CONSOL and disadvantaged southwestern Virginia landowners who hadn’t been paid by CONSOL. 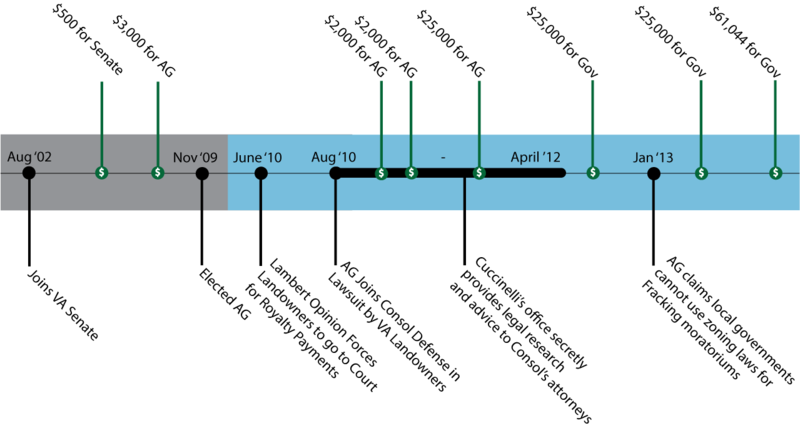 A comparison of the timelines of actions and money show a pattern of accelerating support as favorable actions increased, bringing a total of $140,000 to Cuccinelli after the actions favorable to CONSOL began. 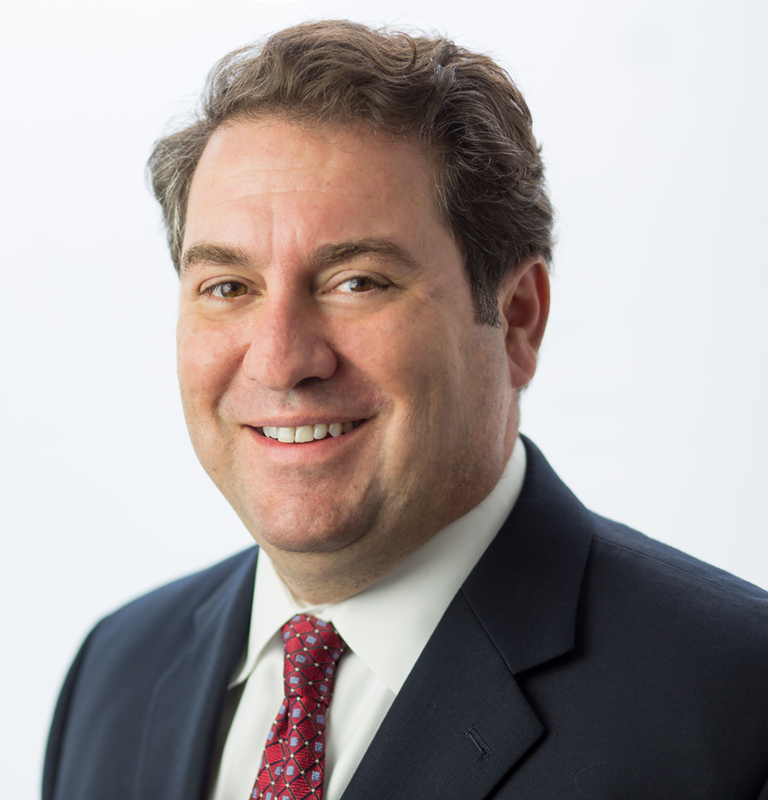 In June 2010, Mr. Cuccinelli issued an advisory opinion that limited the jurisdiction of the Virginia Gas and Oil Board that forced Virginia landowners to go to court over royalty payments, a move clearly in CONSOL Energy’s favor. Two months later, in August 2010, his office sided with CONSOL and against Virginians in a lawsuit to recover improperly withheld royalties, helping the out-of-state oil company defend against a claim by Virginia landowners. From August 2010 through April 2012, Cuccinelli’s office (through a Senior Assistant Attorney General Sharon Pigeon) began secretly providing legal research and advice to CONSOL’s attorneys regarding the lawsuit, outside of the scope of the AG office’s official capacity. The Virginia Inspector General is now investigating to determine whether the AG’s office misused taxpayer funds. Finally, Mr. Cuccinelli, helped CONSOL again earlier this year when he issued another advisory opinion that barred local jurisdictions from using zoning laws to establish fracking moratoriums. Colorado Oil and Gas Association CEO Tisha Schuller said she wanted to depolarize the debate around fracking and drilling, and even said she’d be touring Colorado communities to do just that. So it was disappointing, if not surprising, when her group helped publicize industry front group Energy In Depth’s (EID) attacks on Denver Post reporter Bruce Finley. Finley came under fire from EID for his story on new requirements for companies surveying for oil and gas on residents’ land and for shining a light on industry propaganda. 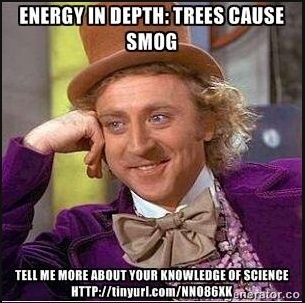 The EID piece went so far as to contend that trees cause smog. Rather than seize the opportunity to help set the record straight about the negative effects of oil and gas, Schuller’s group tweeted her support of EID’s lies. If Schuller truly wants to help depolarize the debate, she’ll distance herself from EID. 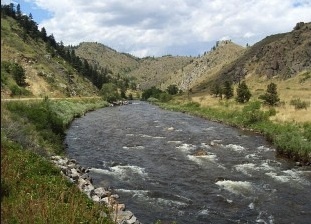 As concerned parties wait to learn whether or not Colorado BLM Director Helen Hankins will again try to lease land next to Dinosaur National Park’s visitor center for oil and gas drilling, Colorado Senator Michael Bennet brought together industry, politicians experts, including Park Ranger Jim Gale, to discuss the project on a two-day river trip through Dinosaur National Park. Others on the trip included: Colorado State Senator Gail Schwartz and a representative from the water commission. Gale blogged on the impact their surroundings’ beauty had on the entire group. But, questions remain about the fate of the park and whether the Colorado BLM is up to the task of balancing protecting the park with oil and gas development. This week The Coloradoan asked five people—experts, an activist, and politicians—their views on the greatest environmental threats t o the state. Climate change, water shortages, air and water quality and the expansion of oil and gas were top environmental concerns. Despite the group’s concerns, surprisingly most believed there were steps Coloradoans and the state could take to lessen the effect of environmental threats. Solutions ranged from greater protection of rivers, Coloradoans making their views known during elections, water conservation, and better oil and gas regulation. 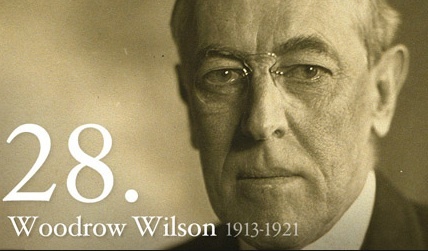 In a recent The Hill op-ed, Jim Baca, highlighted the up to hundreds of millions of dollars taxpayers are losing out on due to oil and gas onsho re royalty rates that have not been updated since the 1920s when Woodrow Wilson was president. Citing data from the Center for Western Priorities’ (CWP) recent report, “A Fair Share: The Case for Updating Federal Royalties,” Baca writes that the federal government is required to evenly split royalty revenue with states where oil is produced. Yet, the federal government charges oil and gas companies only 12.5 percent, lower than the 16.67 percent to 25 percent charged by the energy-rich states Colorado, Montana, New Mexico, Utah, and Wyoming. These states are losing out on an estimated $400-$600 million dollars in revenue as a result of the government’s undercharging, the report says. According to President Obama’s estimates, over the next 10 years updating the onshore royalty rate would generate $2.5 billion in net profit for the U.S. Treasury. And, the good news is the Department of the Interior has the authority to raise the onshore rate to one that’s fair to taxpayers. It wouldn’t be the first time the agency raised rates, having previously raised the offshore rate from 12.75 percent to 18.75 percent under the Bush Administration. With the President estimating an economic boost in the billions and the Department of the Interior having the power to do so, it’s time to charge a rate that’s fair to states and to taxpayers. In a recent New York Times op-ed, Cornell Professor Anthony Ingraffea discussed the negative impact of gas-produced methane on our air and water and says that if we really want to address climate change, as outlined in President Obama’s recent speech, we’ll support the scaling of renewables such as solar. However, he adds that support for renewables needs to be coupled with policies that recognize the threat from oil and gas leaks and emissions.